If you’re a gin fan, normally you’d expect your favourite drop to be infused with some delicate botanicals. You probably wouldn’t expect, or even want, your gin to be infused with… meat. But that’s exactly what London bar has done, and it’s all in celebration of World Gin Day. London’s Seven at Brixton teamed up with Wild West Jerky to create a beef jerky infused, meaty Gin variant they call “Jerky Gin.” Jerky G&Ts will be available at the bar all through the month of June. Can’t make it all the way to London? 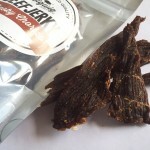 Don’t worry, you can make Jerky Gin in the comfort of your own home, should you for some reason choose to do so. Sounds… delicious? 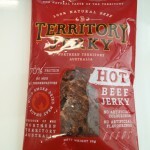 You can have a go at substituting Wild West Jerky for your jerky flavour of choice, and see if meaty gin works for you. 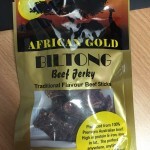 Here at the Jerky Joint we are not keen to try it… a cold beer with some jerky on the side as usually as far as we go when if comes to combining our jerky with alcohol.